APS is the leader in the physical therapy practice management software industry. APS provides computerized billing and office management software to over 3,500 therapy practices and rehabilitation agencies across the U.S. The company was acquired by Patterson Companies, Inc. in 2007. Allrecipes.com is a community-based website offering food ideas and resources, including recipes, meal ideas, meal preparation tips, nutrition analyses, shopping list and recipe-scaling tools, culinary ware, and news. Allrecipes.com offers tens of thousands of user-submitted and third-party recipes, a free semi-monthly e-mail newsletter, and an online marketplace. The company was acquired by Reader’s Digest in 2006. BACC specializes in providing capital to manufacturers, distributors, and service providers who are unable to obtain sufficient traditional bank financing. BACC structures revolving loans secured by accounts receivable and inventory. The company was acquired by Sovereign Bank in 2005. Master Replicas, which merged with Corgi (Nasdaq:CRGI) in December 2006, designs, produces, and markets high quality movie and television prop replicas and collectibles. The company was acquired by Factory Entertainment in 2008. DeerTech is a service company that provides ‘Three Circles of Protection’ to protect plants, gardens, and landscaping from deer damage. The Company’s combination of patented ultra-sound, proprietary spraying program, and sprays is far superior to fencing or other methods. The company was acquired by SavATree in 2010. DTS is a leading value-added transportation technology solutions provider of intelligent transportation systems (ITS) and traffic monitoring services to state and municipal agencies. The company specializes in the complete range of critical infrastructure service life, including technology evaluation and selection, solutions design, installation, integration, operations, maintenance, and support services. Dimensions is a leading designer, manufacturer, and marketer of craft and hobby products such as needlecraft, craft beads, paint-by-number kits, wearable art, and stained glass. The company was acquired by EK Success in 2007.
iCentris is a premier software provider for the direct selling industry. The company’s clients range in size from start-ups to Fortune 500 companies, and include Avon, Tupperware, Stampin’ UP!, Longaberger, and Mannatech. iCentris’ tools allow distributors to generate increased sales, higher recruiting and retention rates, improved overall customer satisfaction, and reduced operating costs. Lane Berry is an investment bank that provides strategic advisory and capital markets advisory services to growth companies. Founded in 2002, Lane Berry has completed a wide range of assignments -that average roughly $200 million in size -across a diverse set of industries. The company was acquired by Raymond James in 2009. Office Works serves the $9 billion temporary healthcare staffing industry, focusing on placing medical administrative and support personnel. The company was acquired by Healthcare Staffing Partnership in 2010. Ooyala is a leader in online video management, publishing, analytics, and monetization. The company’s integrated suite of technologies and services give content owners the power to expand audiences and drive increased revenue from video. Ooyala serves hundreds of global media companies and consumer brands including Dell, ESPN, Fremantle Media, News International, Sephora, Telegraph Media Group, Vans, Whole Foods, and Yahoo! Japan. The company was acquired by Telstra in 2014. Protein Sciences is a vaccine development and protein production company that is dedicated to saving lives and improving health through the creation of innovative vaccines and biopharmaceuticals. Flublok, the world’s first recombinant protein-based vaccine for the prevention of seasonal influenza disease, was approved by the U.S. FDA in January 2013. The company was acquired by Sanofi in 2017. QC Laboratories is a leading provider of independent laboratory testing services in the Eastern U.S. The company provides comprehensive testing and analytical services to thousands of customers in the environmental, food, dairy, and, pharmaceutical industries. QC’s services provide the support necessary for projects such as groundwater monitoring, stream surveys, environmental assessments, and compliance with quality standards as mandated by government agencies. The company was acquired by Eurofins in 2015. RootMetrics is an independent mobile analytics firm providing accurate, unbiased insights into the consumer mobile experience. Uniquely positioned in the industry, RootMetrics delivers two complementary sources of mobile performance information: the company’s independent, professional testing results are summarized in the RootScore® Report Series, while crowdsourced performance data is gathered from users of the CoverageMap mobile app. The company was acquired by IHS in 2015. 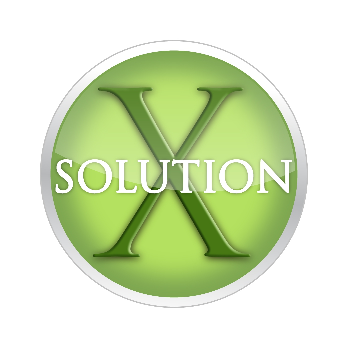 SXG is a leading technology and software developer for the direct sales industry. Its industry-leading products and services include web-based marketing, training, and retention systems as well as industry-specific social networking systems for distributors. The company was acquired by iCentris in 2011. US Labs provides anatomical pathological laboratory testing services. Customers include hospitals, university hospitals and research centers, commercial laboratories, physicians’ offices, and biopharmaceutical companies. The company was acquired by Laboratory Corp. of America Holdings in 2004. US Personnel is a leading provider of human resource outsourcing solutions designed to help organizations improve productivity and operational efficiency. Founded in Irving, TX in 1991, the company is a national leader in mid-market Business Process Outsourcing (BPO). US Personnel’s services include HR management, HR infrastructure/information systems, sourcing and recruitment, payroll and tax Administration, benefits administration, risk management, and loss prevention. The company was acquired by WorkLife Financial in 2008. VeriCenter provides an operating infrastructure for hosting advanced web-based applications, critical business applications, and disaster recovery solutions. VeriCenter has become the largest profitable enterprise hosting company in the U.S. with more than 400 managed hosting customers and over 400,000 sq. ft. of data center space at five data centers. The company was acquired by SunGard in 2007. ViSalus is the company behind the Body by VI Challenge, a 90-day weight-loss and fitness platform. ViSalus champions personal victories and entrepreneurship through a social marketing model, premium products, and support community. The company entered into a structured sale agreement with Blyth (NYSE:BTH) in 2008.